A very rigid, shallow container, ideal for posting in a padded bag. 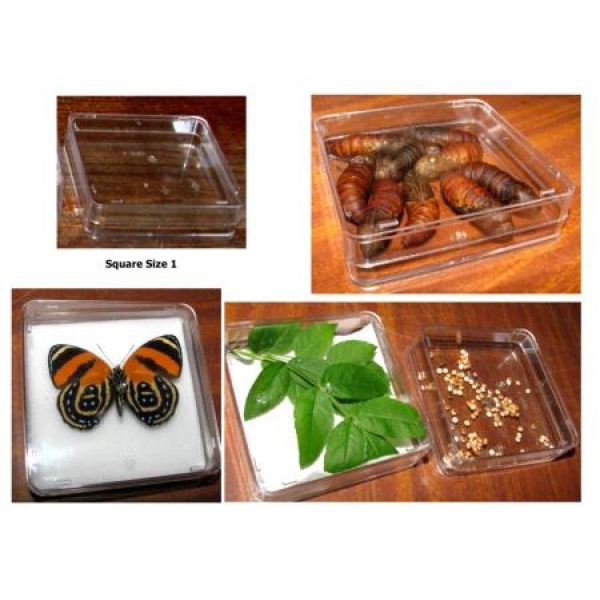 Use this size to keep eggs, young larvae, pupae and to display specimens. Depth 20mm.